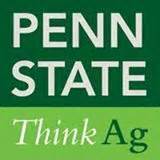 As entrepreneurship continues to occupy more of the spotlight around the Penn State community, the College of Agricultural Sciences is taking several major steps to stay ahead of the curve. I had the opportunity to meet with Scott Welsh, the entrepreneur-in-residence in the College of Agricultural Sciences Fieldstone Innovations. Scott and his team are taking major steps to encourage and promote entrepreneurship amongst Penn State faculty. Each College at Penn State has its own entrepreneurship initiatives and programs, and each one approaches the challenge differently. Penn State professors, more often than not, double as researchers who work on university or personal projects in their spare time. In the College of Agricultural Sciences, many work on projects related to crop yield, fertilization, renewable energies, and various other agricultural activities. Frequently, many of the innovations and research of Penn State faculty will sit around, gathering dust in a file cabinet. Scott Welsh works with faculty to find their ideas and research and develop a plan to bring those to the outside market. As entrepreneur-in-residence, his responsibilities include going through the list of technologies developed by College faculty, and identifying those with potential for commercialization. Once he has identified a promising technology, he will develop a business plan for a start-up, licensing deal, or something similar. By allowing Scott to work with faculty, the university hopes to encourage the entrepreneurial spirit of the Penn State community. RAIN is a program established by the College of Agricultural Sciences with the aim of transitioning technologies generated through research to commercialization. It is a grant program that allows for funding of select ideas that meet designated criteria. For researchers, it serves as a source of financial support that will help realize the commercial potential of their projects. RAIN hopes to stimulate economic development through this realization of commercial value. Applicants must submit a brief business model, including proposal summary and narrative, references, and budget for the project. The fund helps those technologies that have become stranded due to time constraints of PSU faculty and helps guide business strategies. Together, both initiatives serve to facilitate a strong push towards a larger entrepreneurial community here at Penn State. Somil is an undergraduate in Penn State's Smeal College of Business pursuing Bachelor of Science in Finance.